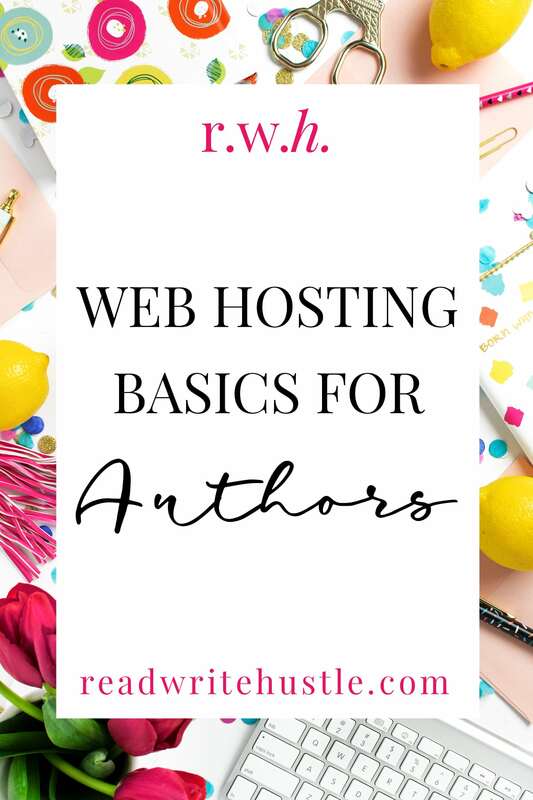 Web Hosting Basics for Authors » Read. Write. Hustle. 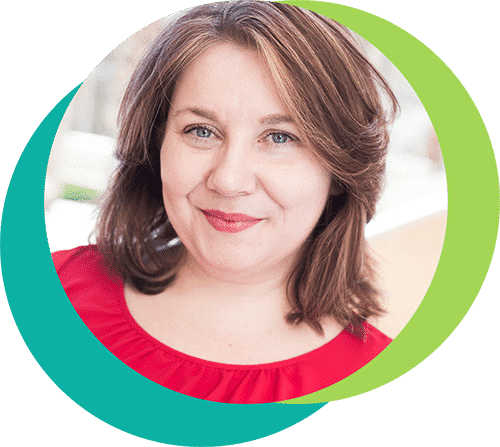 You probably already know this, but for the visitors that don’t… One of an author’s most essential marketing tools is a website. Remember, I said marketing tool. 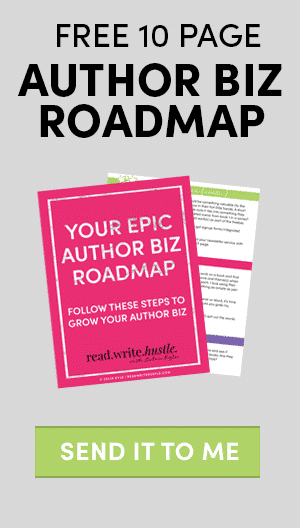 There are so many other things that help support your authorpreneurial endeavors, but in the marketing arena, a website is one of the top “have to” items. You can’t rely on Facebook, Twitter, or any other website to run your business and garner sales. You need a platform that YOU control. You need a home base. A place to send readers when they’re looking to find out more about your books. The first step in your website journey is to choose a web host followed by the type of website you want to have. If you’re staring at the screen and thinking “WTF is a web host?”, keep reading. Web hosts are computers (like massively massive) that act as a storage center for your site. It stores your website files (HTML, PHP, etc. ), video files, audio files, images, databases, etc. It’s where your website “lives” on the internet. And peeps charge you to store your website on their computers. Those peeps are web hosting providers. They’re the companies that supply the server that acts as your web hosts and connects the server to the internet. If you do a quick google for web hosting, you’ll be instantly overwhelmed with a gabillion results that just add to the noise and confusion surrounding web hosts. There are thousands and thousands of providers and each one offers different types of hosting plans. There are four main types of hosting: shared, VPS, dedicated, and cloud. They all have their uses and vary in type, features, and price. I imagine that most authors need nothing more than simple shared hosting, but lets go over all of your options anyway. Shared hosting is likely the most common and talked about type of web hosting around today. It’s pretty much the standard “beginner” option. When it comes to Shared Hosting, the “shared” portion of the name is exactly what it sounds like. You share a physical web server with hundreds—often thousands—of other users and businesses. Normally, shared hosting is the cheapest hosting option around, but it does come with some drawbacks and concerns. It’s affordable. Since shared web hosts can host thousands of users on one web server they are able to offer their services at a cheaper more affordable rate; a lot of times as little as $3.95 a month. It is very cost effective. It’s beginner-friendly. It is very easy to get started with shared web hosting. It is very beginner-friendly, and you can usually install programs such as WordPress with just one click. No real technical knowledge of web servers is needed. Security Concerns. Because your website sits on a web server with hundreds or thousands of other sites, another site’s activities can affect your site. Another person’s hacked site can easily become your hacked site. Shared Resources. Shared space means shared resources such as CPU time, memory, and disk space. If someone else’s site is hogging CPU time and memory it is going to affect the speed and load time of your site. No Control of Server. With shared web hosting you have no control over the server or its performance. Your site will not be able to use resources beyond the maximum your web hosting package allows. Limited Usage. While on shared hosting you will be limited to the amount of CPU usage and bandwidth your website can use. VPS stands for virtual private server and in some ways it’s similar while at the same time being very different from shared web hosting. (Confusing, I know.) It’s similar because you do physically share a web server with other users. It’s different because you’re not sharing resources. A VPS is a big physical computer that has been divided into several virtual sections. Within each section, is a person’s own webserver. This keeps your account separated from others and allows everyone to function independantly. As if you have your own physical computer. Security concerns are less with a VPS than with shared web hosting since each user is compartmentalized into their own section. Limited Shared Resources. With a VPS server you have your own space on the web server and you don’t have to share with anyone else. This allows you to have more access to resources such as CPU usage and memory. Greater Control of Web Server. VPS servers allows you to have root server access. This allows you to have greater control of your web environment. Rapid Growth. VPS is great if your site is growing rapidly. It allows you to grow as your business grows. Web host providers can easier allocate more space and resources to your VPS as business and traffic to your site increase. Maintenance. Unless you choose a managed VPS plan, which usually cost a little more, you are responsible for managing everything on your VPS server including the web server software, updates, security, and more. More Expensive. While A VPS web host is more expensive than shared hosting, it is not super expensive and can be pretty affordable depending on the web hosting provider you go with. Technical Knowledge. Some technical knowledge is required with a VPS. You need to know the basics of web hosting and how a website works. Using a dedicated server means you have a web server all to yourself. You are basically renting a whole computer server to use for your website and your website alone. Seriously, point blank, this is massive overkill for an author. Like, majorly massively amounts of overkill. But, we gotta talk about all our options, right? Security is usually best on a dedicated server because you are the only one using it. If you practice safe security policies, you shouldn’t have any problems. All the Resources. Since you are the only user on the web server you get full access to all the resources. No waiting for CPU time or bandwidth. Control of Server. With a dedicated server you maintain control of the server and performance. You can configure the web environment to the exact specifications you want. Most Expensive. Using a dedicated server is the most expensive option since web hosts cannot offset that cost with other users. Technical Knowledge. Technical knowledge is a must have with a dedicated server. Unless you have a managed account, it is completely up to you to fix anything that goes wrong. Things always go wrong. Just accept that it will. Cloud hosting is the newer kid on the block. When people talk about “the cloud” they’re talking about a team of servers that work together. It allows multiple computers to work together to handle the needs of any website on the servers. Suddenly have an odd spike in traffic? The cloud will have your back. That said, it comes with its own pros and cons. Very Scalable. It has the unlimited ability to handle high traffic or spikes in traffic without slowing your website. More Resources. While you technically have to share resources with others like in a VPS, there are so many more servers involved and that means more resources are available. Extremely Reliable. Because the cloud has a team of servers working for you, if one server goes down another one is waiting there is to pick up the slack. Cost Efficient. You only pay for the resources you actually use. Advanced Technical Knowledge is a must have. Cloud hosting is not easy to setup and you must have knowledge of the resources you have and know when you will need more. Like I said before, there are thousands of web host providers in the world today. Some are huge companies while others are owned and operated by two to three individuals. Some might even just be resellers of the bigger hosting companies. There are quite a few providers that will even give you a free domain name with your hosting account. One of the important things to consider is your skill level and how much customer service and hand holding you might need. Another thing to consider is what type of website you want to have. HTML? WordPress? Personally, I highly recommend using WordPress for your website. It’s super easy to use, secure, and very customizable. WordPress is also pretty awesome because it can be installed on almost any web host. If most of this is Greek (or Geek!) to you, the thing to do is ask the web hosting company if they support WordPress and if they have access to Cpanel. If the answer to those two questions is “yes,” then you’re golden. What’s an easy way to find a good WordPress host? Ask your friends who have WordPress websites. Ask them about their uptime, customer service, and any other factors that are important to you. This way you can make a good, informed choice about your hosting. With so many choices, it won’t take you long to find the WordPress host that works for you. I have a list of some of my fave hosting providers as well as a handy dandy cheat sheet of web hosting terminology to help you through those times that may have you scratching your head. When making a choice about web hosting do your research, ask your friends who they use, and remember, while it may take some work, you can always change your web host if you’re not happy. How? *puts on As Seen On TV hat* I’m glad you asked… I’ll be doing a blog post about how to break up with your web host soon so keep an eye out on the blog! To grab your web host list and cheat sheet, all you have to do is like the Read. Write. Hustle. Facebook page below. What are ya waiting for?